I come bearing gifts, and when I say gifts I mean a closer look at something we've been working on for a very long time now. Star Control: Origins is coming together very quickly here and whilst we still have a ways to go we have got two new previews for you to watch. The first is 15 minutes exploration Adventure mode, courtesy of producer Patrick Shaw and IGN PC editor Tom Marks. In it we go over some of the initial gameplay, show a couple of dialogue screens, planetary exploration and a brief look at hyperspace and modules. Our second video for you guys is a short preview trailer for May. It serves more like the Too Long Didn't Watch version of the first video. There is some older footage but still worth checking out! If you guys have any questions or comments please feel free to respond and I'll do my best to answer all... for a small nominal fee of course. Yeah, I've already seen those videos. The new hyperspace remix (which is different from the current Origins title theme) sounds so awesome! I can't wait to get hold of it, maybe use it in UQM too. I see that the starbase commander theme is also a new version of the Precursors' Corridor Nine remix? I don't know what to think of the fixed landing zone and especially the landing minigame. I'd personally prefer not to have either of those. Otherwise, planetary exploration looks good enough. One of the things I've seen in Origins' gameplay videos so far has me worried though - that the conversations are going to be too brief and terse. I personally like SC2's verbosity. Thank you for the love for the new tracks. We have more hyperspace versions too, Riku has been hard at work and made some awesome tracks, including new stuff from our other composers. 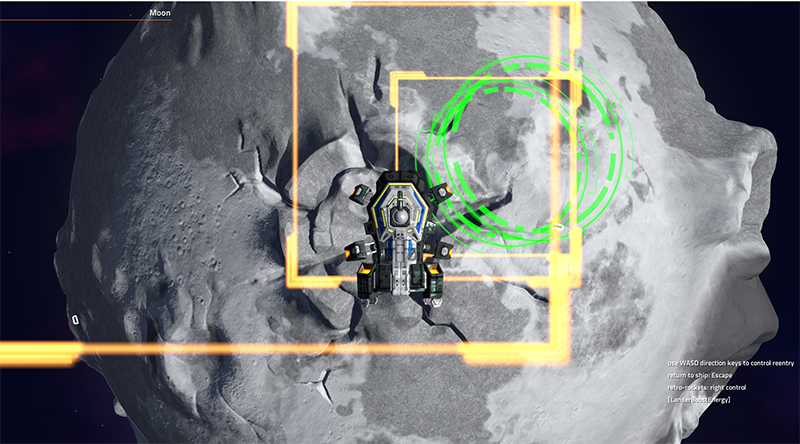 Landing zones actually change depending on tech. So the more upgraded you are the more options you have, we also just added some new graphics for the landing zone you can see down below. Ultimately you can also gain the ability to auto-land on planets with the right upgrades, although personally, I find the minigame pretty fun with different planetary conditions having different effects. We haven't shown the real depth of our adventure system yet, in part because we don't want to spoil the story. But, basically, everything in the universe is linked in a single state engine. So even if you have only three options in a conversation ti can have an effect down the line on in-game events and triggers. So something you said, did or have in your possession can have any number of effects on an interaction in the future. It's possible to even create an entire reputation system using our system and any player can also use our tools to do this. We'll be showing more off on how we build our quests and the tools that will be available to players on launch later. this space originally held questions about SchismNavigator's name while observing that there is a schism, and questions about why material was here and not there. Death? Why was my comment edited? I don't feel I was picking a fight or being rude. Yeah, I picked the name a while ago, I think it might have something to do with watching Flight of the Navigator growing up. I'll be hanging around here more often now though as things are moving very quickly. If you have any questions about the latest public update just ask away. Your questions certainly appeared to the poster who reported it, and then me, to be… provocative. If it was not intended that way, oops. You may edit your post to be whatever (reasonable, obv) contents you'd like. I should definitely have asked you first. My apologies. Sigh. Well I wasn't meaning to be provacative. 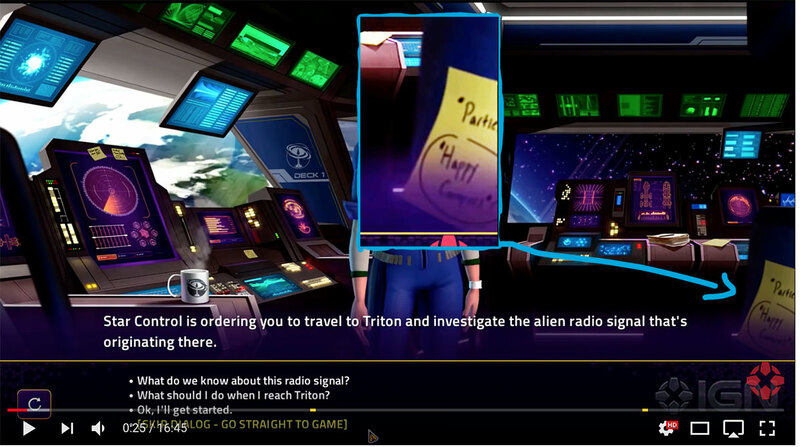 I actually thought that whoever the poster from StarDock is, they chose their name with a bit of wisdom and the ability to laugh at themselves as there is a schism, but in the end I think we all just want to see the games made and play them so all of us would like to navigate and end the schism. tl:dr I found their name to be clever. Yes, I guess I am to blame for that, since I was the one who reported your post, Tas. When you said something like "LOL yeah, there is indeed a schism" I thought that you were basically trying to hijack the thread and start another flame war about the litigation between Stardock and F&P. Since this thread is about videos showcasing gameplay in Origins, bringing that topic up seemed extremely inappropriate to me. 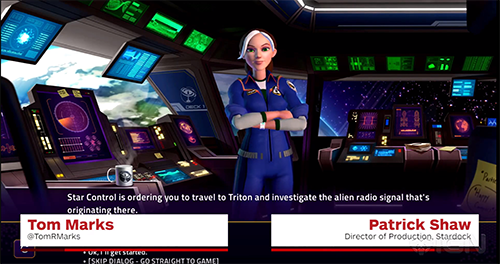 The tone of your questions about why these videos aren't posted on Stardock's website (they are, actually, which was where I originally found them, though admittedly the longer video is hard to find, as there seem to be no links to it on the Star Control website's main page) seemed extremely condescending to me. "Funny how these videos aren't posted on 'your' Stardock website", with "your" in quotes, just didn't seem to be the right way to ask those questions to me. I'm sorry if I was mistaken about your post having hostile intent, but, as Death said, I wasn't the only one who interpreted it that way. I guess we both got too sloppy and trigger-happy. And in case you're curious, SchismNavigator posts under the same handle on Stardock's forums, so I guess that he was using it many years before the litigation started. I'll try to better control my tone. It's good to know that you can eventually choose your preferred landing zone once the tech on your landers get upgraded. No one seemed to address that on the Stardock forums. Dear Princess Celestia, today we learned that sometimes innocuous statements can come across badly, and that aggressively policing ambiguous statements like that isn't a good move. Yeah, I did not see it as an attack or anything. Thanks for getting everything cleared up. Yep. We have a whole host of unique upgrades that let you do a few different things. More than that, however, we basically have two huge categories of equippable items you can find/earn/buy. The first are what are in effect equipment modules that can do things like buff up your flagship, extend your fleet capacity, boost your lander tech etc. The others are cosmetic items that let you change how your flagship actually looks. 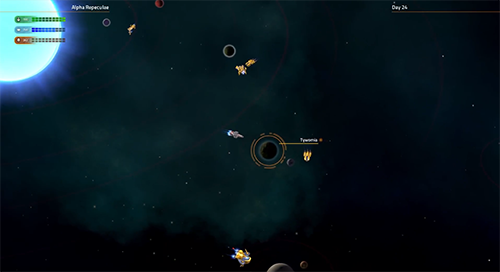 Our idea is that each player should end up with a fairly different flagship at the end of their game which they can then take to explore in other universes. This does not include all of the many alien ships, of which we have multiple ships per each major race. If you watch the trailers carefully you'll notice the Scryve are getting a cruiser in addition to the battlecruiser and scout already in the Fleet Battles beta.